Insurance is your shield against the unexpected: accidents, natural disasters, fire, and so on. Insurance companies are not in the business of protecting their insured however, they are in the business of making money. If you have ever heard of actuarial tables, then you’ll know that the premiums you pay are based on the the fact that that there is only a small possibility that you will ever make a claim. When an insured party makes a claim, that person is disrupting the business model of the provider and insurers will do everything they can to keep your money in their coffers. How do they do this? 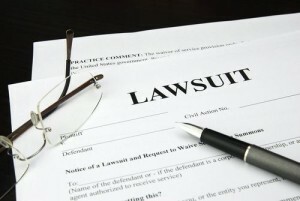 They make it hard for you to make a claim by enacting the 3-D strategy: deny, delay and defend. First they deny your claim, and then they delay any progress by giving you the run-around hoping you’ll just give up, and then when an action is brought against them, they stick to their guns and defend their position. If this situation sounds familiar, then you have to do some strategizing of your own. There are some things you can do right away to streamline the claim process and increase your chances of recovering an award. First, take notes. Document every conversation, email, letter, and form that crosses your table complete with details such as the contact person, dates and circumstances. If you are already lost in the middle of the process, try to recall everything you can from the start of the process to the point you are now in and write it down. Next, get together all previous records you have regarding your insurance, including a copy of your policy, your receipts, communications, statements of accounts, and whatever else you have. In the meantime, if you can afford it, continue to undertake repairing the damage that has been done, whether to your property or person. Finally, get in touch with insurance claims attorneys. Speaking to an individual who is well experienced with this subject may be of benefit for your situation. The time and money you will save from trying to get your insurer to pay up is better spent in engaging a qualified lawyer who is experienced in insurance claim cases and who has experience taking action against insurance companies engaging in bad faith practices. While there are many important issues to be worked out during divorce, one of the most important to consider is the division of property, both debts and assets. There are two ways that these can be distributed – through equitable distribution and community property. Most states, however, use equitable distribution. There are also times where the court can penalize spouses for their wasteful use of marital property, whether it be during the marriage or after the separation. Any abuse or infidelity is also something the court often considers. Equitable distribution is only done in court; therefore, it is typically used only when both spouses have not agreed on the distribution of their properties. However, distribution of properties can be talked over by the spouses themselves, or with their respective lawyers, resolving these issues without taking them to court. Filing for bankruptcy when debts become unmanageable is one important way in which a person can regain control of their financial life. Bankruptcy is one of the fastest legal solutions to save yourself from creditors and their various tactics in harassing you to pay what you owe. They will hound you through endless phone calls at home and at the office, notice of eviction and notices from law firms; they can even have a part or your full wages garnished (withheld for payment to creditors directly or through the court) or your bank account levied (frozen and seized). Once a party files for bankruptcy, one immediate benefit they will typically receive is the automatic stay which will automatically stop any lawsuit filed against you by your creditor, the garnishment of your wages and other forms of harassment, and collection by your creditor. Bankruptcy can also discharge some or all of your debts. While Chapter 7 bankruptcy is often a popular choice of bankruptcy for debtors as it eliminates many of their debts, Chapter 13 bankruptcy is a beneficial alternative, as it lets you keep all of your properties while your debts are restructured for a single monthly payment. This restructuring is intended to enable you to make affordable payments over a period of 3 to 5 years. After continuous payment for 5 years, whatever remaining balance there still is could potentially be discharged. As Chapter 13 bankruptcy also eliminates further interests and penalties on debts, it definitely can serve as the best solution to a worry-free and controlled financial life again.